"Totally Wireless" Professional 10.1 inch Tablet"
A 10.1" Professional Tablet which is "Totally Wireless" and requires no connection lead to charge its battery or print reports. 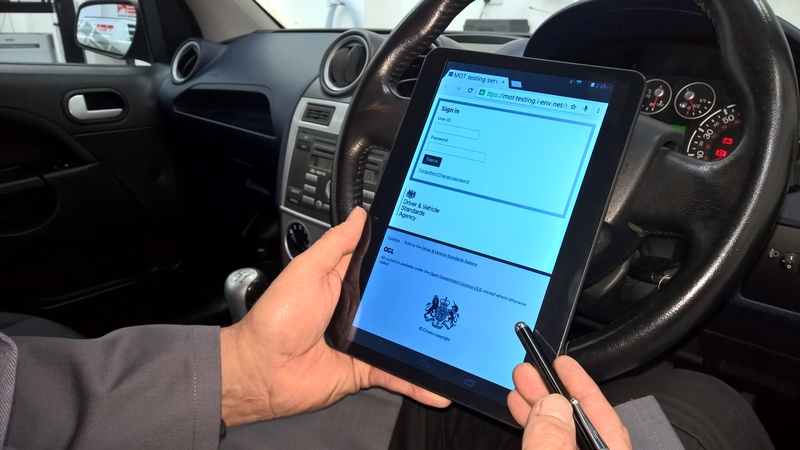 Ideal as a tool for MOT Test Reporting, it will collate your results and print them wirelessly to a suitable printer. Designed for Professional use the MOT-IT10 is a compact, portable computer system which can be "taken around the vehicle" while MOT Testing, or diagnosing electrical faults where technical data and schematics need to be at hand. With a large 10.1 inch capacitive touch display, WIFI and dual sim card slots means internet access should never be a problem should your workshop internet fail. Optional 3G internet packages are available from most Service Providers. Also ideal for Internet Vehicle Technical Data Systems like Autodata® to bring the information "right where you need it" and charges the battery when placed on its desktop stand. The Package is supplied complete with Wireless Charging Stand, Silicone Protective Cover, Touch Screen Styles and a 12 Month Manufacturer's Product Warranty .